BioBag is a world leader in providing bags and films for the collection of organic waste for the purpose of composting. Unlike regular plastic, BioBags can be consumed by micro-organisms that live in our soils. Because we use starches from renewable crops, our bags can be readily composted along with organic wasted in municipal composting facilities. BioBag isn't a large petroleum-based plastic bag company that now conveniently dabbles in the new business of compostable bags. We are a small, privately owned, company dedicated to only producing certified compostable bags and films. The resin we use is sourced from Italy, as there is no "compostable resin" supplier in North America that can guarantee a resin that is based on GMO free crops. The resin is then blown into compostable bags and films at our production facility in California. 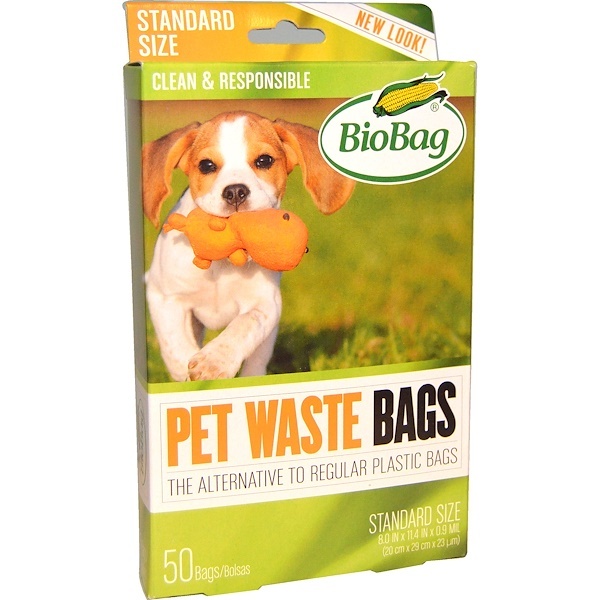 There are now a number of communities and parks successfully composting their dog waste and using BioBags as the method of collection. The future looks very bright for all waste separation initiatives. We are proud to play a part. BioBag products meet the ASTM D6400 standard specifications for the labeling of plastics designed to be aerobically composted in municipal or industrial facilities. Facilities may not exist in your area. Tip 1: Don't forget the cats! 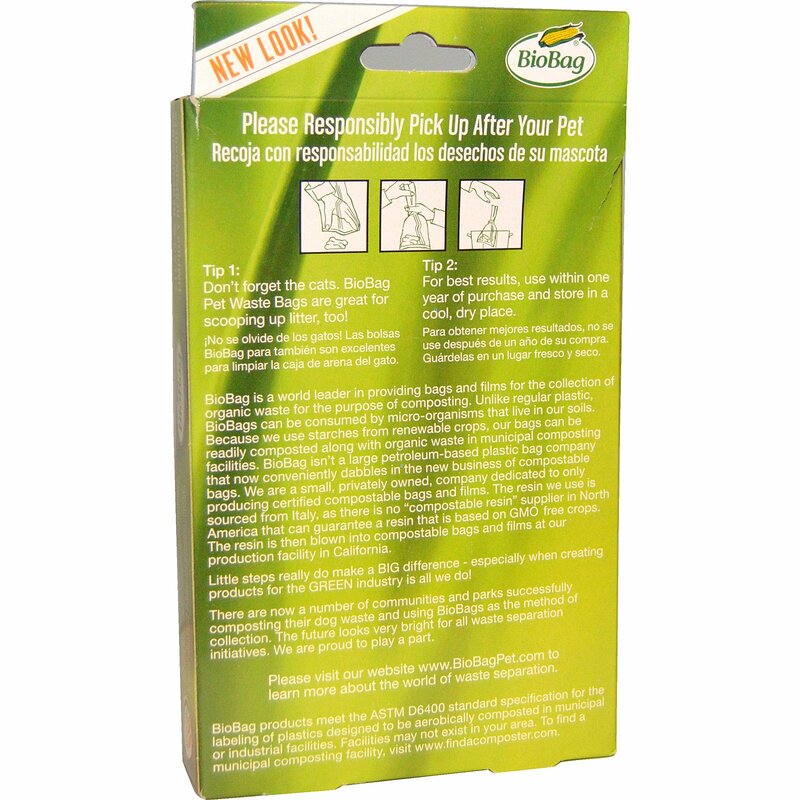 BioBag dog waste bags are great for scooping up litter, too! Tip 2: For best results, use within 1 year of purchase and store in a cool, dry place. Mater-Bi is an innovative family of bioplastics derived from the starches of plants, vegetable oils and compostable polymers.